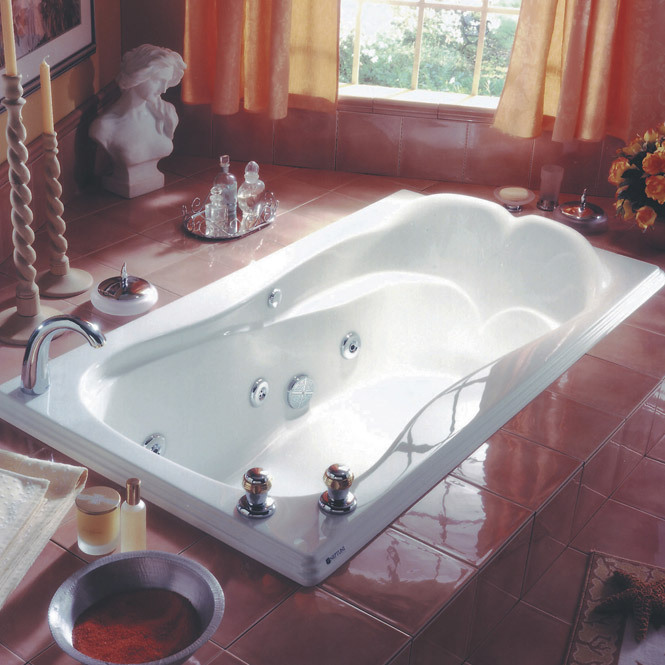 This bathtub with molded backrest and armrests optimizes comfort and relaxation. A perfect choice for any renovation project. Total width :32 3/4 in. Interior width (floor) :18 1/2 in. Interior width (top) :26 1/4 in. Interior length (top) :52 in. Total length :60 3/8 in.